This double slant play is designed for short quick passes to get the ball into your runner’s hands. However, it also has some deeper options. To give the Center more time to get down the field have each of the slant receivers count to 3 before starting their routes. On this play, the Center is a decoy meant to have a safety, preferably the one guarding the Twins Side, cover him deep. The first option is the Singe Wide receiver running a quick slant. I like to line him up within a couple yards of the sideline. I like this because when he catches it and starts up field, it’s usually just one safety left to beat and he has the option to go left or right. The second option is the Twins Wide receiver. 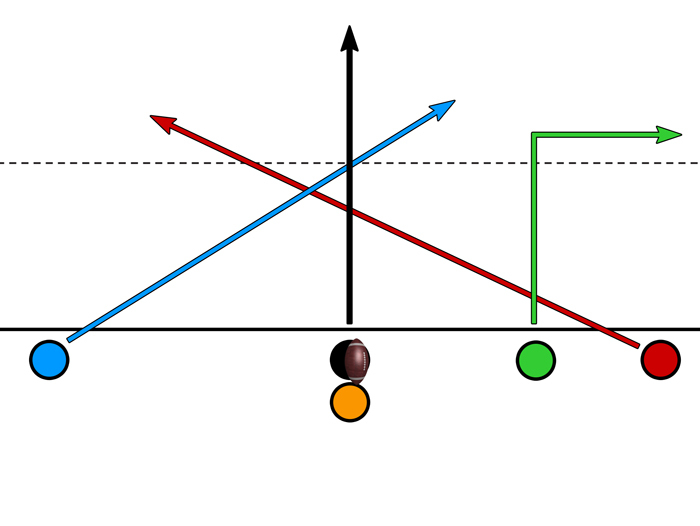 Here, the receiver will usually get the ball in the middle of the field. The immediate move after catching the ball should be to go straight up the middle. Momentum will try steer him to the sideline which may result in to too much side to side running and not much yards. The third option is the Twins Slot on the Deep Out. If getting a first down is a priority on this play, have the Twins Slot receiver line up almost next to the Center in a Tight set up. 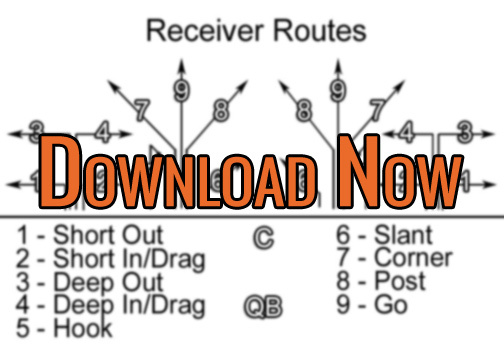 Instead of running the basic deep out, have the receiver run a comeback route. This is where the receiver will run 3-4 yards past the first down line. Instead of running the out parallel to the line of scrimmage, the route should be run directly to a spot on the sideline just beyond the first down (or goal line). The receiver should not slow down as he nears the sideline. The goal is to catch the ball and go out of bounds just beyond the first down line. The receiver should not try to get yards after the catch.